10:15 - 11:00 Sven-Bodo Scholz Partial dispatch of overloaded functions during type checking. 11:00 - 11:45 Dietmar Kreye Generating code for dynamic function dispatch. 14:00 - 15:00 Michael Werner Type upgrades and semi-static dispatch. 15:00 - 16:00 Kai Trojahner SIMD extensions in modern processor architectures – an opportunity for SaC ? 16:30 - 17:30 Steffen Kuthe A hybrid execution model for shared memory parallelization. 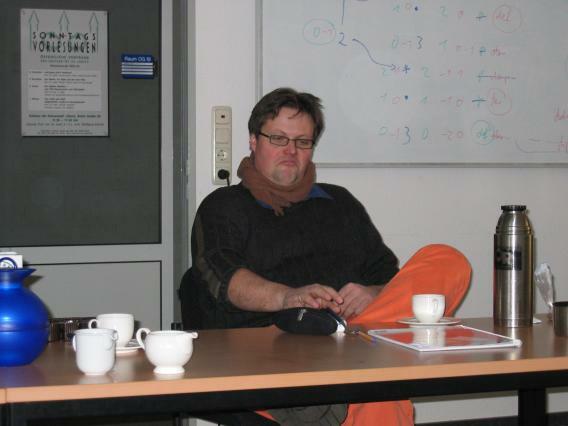 17:30 - 18:30 Clemens Grelck, Stephan Herhut Dynamic function dispatch in the context of the module system. 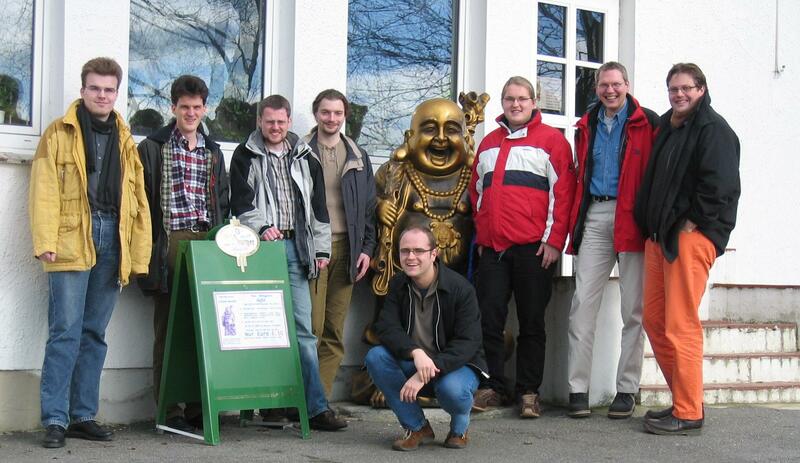 All of us in front of the Chinese restaurant called, guess, “Golden Buddha”. 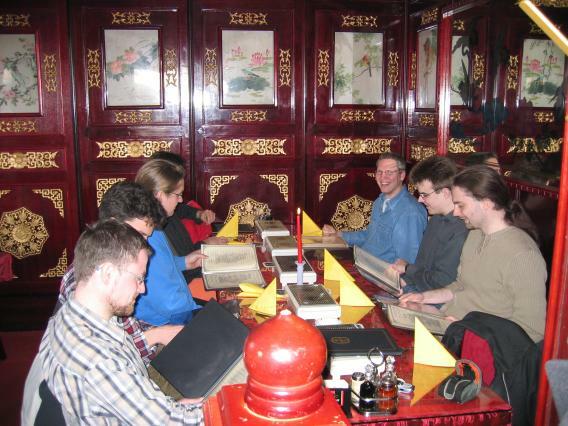 From left to right: Steffen Kuthe, Dietmar Kreye, Karsten Hinckfu&szlig;, Michael Werner, Kai Trojahner, Golden Buddha, Stephan Herhut, Clemens Grelck, Sven-Bodo Scholz. Who's giving a talk right now? Poor guy….